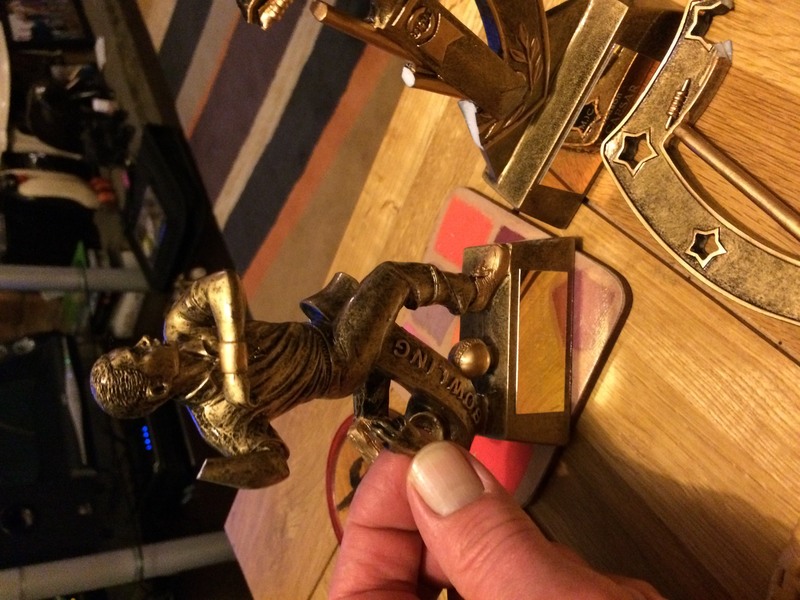 The 2015 Old Moseley Arms Fitmen Cricket Club Awards And Curry Night At The Old Moseley Arms Pub (The 2015 OMAFCCAACNATOMAP) took place on 4th December. Despite confirmation of three prize winners unable to attend (airplane-paperwork, folk-and-soul-singer-songwriter-and-multi-instrumentalist-watching and something else) the Fitmen turned out in their droves (perhaps it was because of those unable to attend…). With personalised curry and light ales all round, a good early evening was had by all, before the after-party got started at the Bull’s Head (now the Cuban Embassy with over 100 varieties of rum, Latin food and live music. Three players bowled more than 100 overs; Sharif (172.2), Bal (129.2) and Ade (102.4). However within the last 6 years, there have only been two players to achieve this (Sharif in 2014 and Sunny in 2010). Last year’s photographer was unable to play this year and hence was unable to take photographs. Two token photographs were taken on the night showing the reporter of the year bowing to Bal and the weekend bowler of the year gratefully accepting a peck on the glasses. PS Enville-gate: En route from The Old Mo to The Bull, through no fault of his own, the social secretary dropped the uncollected trophies. This successfully disabled the statue of Sharif (now one armed bowler of the year). Due to the excitement of seeing Tuckerrr 'pull' at The Bull, he then lost it and then found it again (all three pieces) and then gave the detritus to the chairman for safe keeping. The 'match reporter of the year ' award suffered collateral damage from the Sharif-gate episode. Did the Fix Sec take out the extended warranties on the trophies?